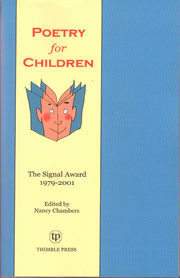 of the journal Signal Approaches to Children’s Books. substantial written overview of a year’s publishing of poetry for children. this record covers hundreds of books. original details: author, illustrator, number of pages and publisher.